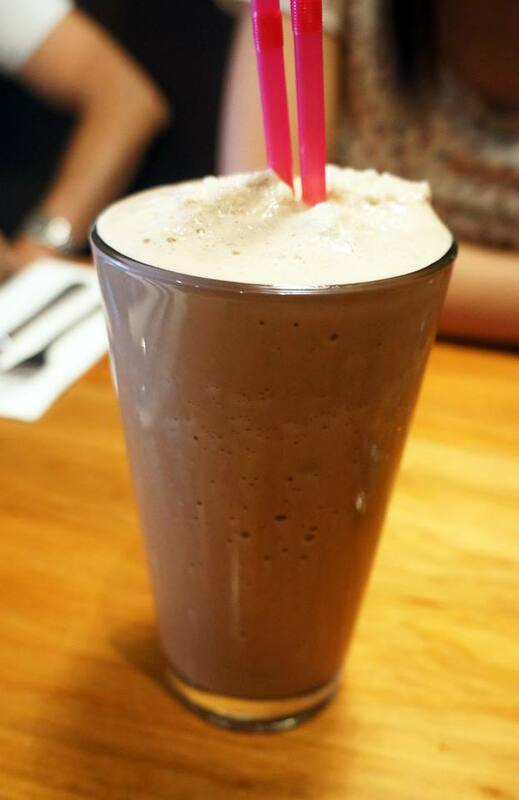 On one of our last visits to Surry Hills we visited Cafe Mint for a quite bite, the Middle-Eastern influenced cafe is a very small little place on Crown Street which eluded us at first but eventually we tracked it down and were promptly served by a very enthusiastic and cheery waiter. 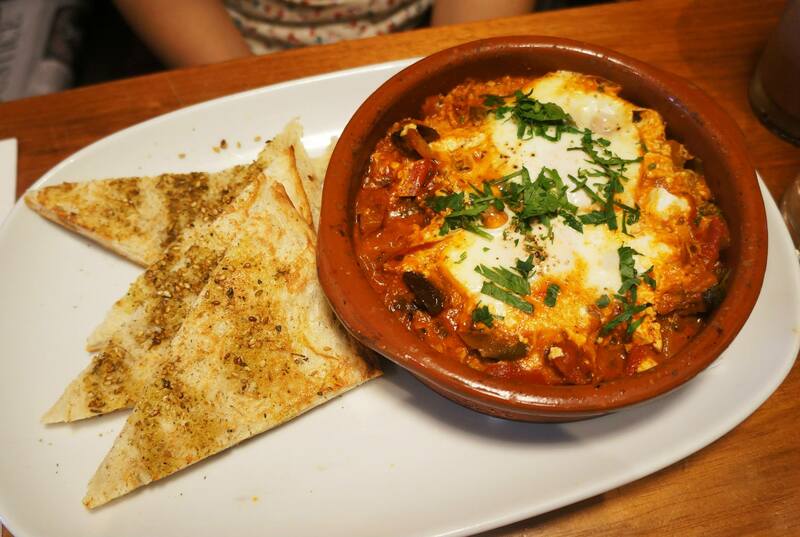 Since Miss K and have recently been infatuated with baked eggs recently we decided to order the Baked Eggs with Feta and Eggplant (above) which turned out to be quite good. There seems to be endless ways of making baked eggs and Cafe Mint have one that involves no meat but includes a delicious mix of feta and eggplant that is still very flavoursome despite having very little else. Since we were in the mood to try something a bit different from the usual I decided to order the hummus based dish which Miss K was quite skeptical about. 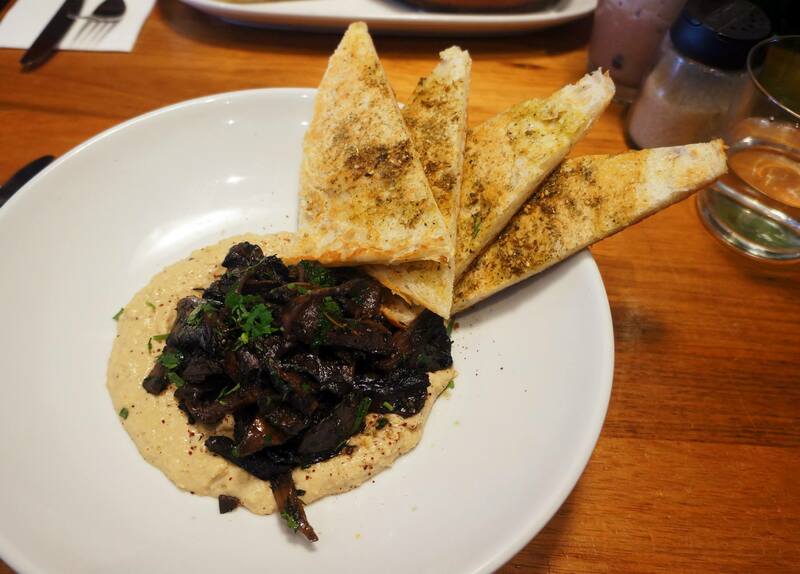 In the end she was hooked and hummus is now something she wants to order whenever we get the chance, I personally really enjoyed the mix of hummus and mushrooms which had an interesting mix of textures.